If you have landed on this page, it may be because you recently lost a family member due to someone else's reckless behavior and you are looking for help. We have seen first-hand how devastating it can be to lose a loved one, and we are deeply sorry for your loss. Below are some free resources that may help you and your family get through the grieving process and better understand your legal rights. Of course, there is nothing that can be done to bring back a deceased family member. But you may be able to preserve your loved one's legacy and hold the responsible person or entity accountable for the harm they have caused. We understand that dealing with the sudden death of a loved one can be legally as well as emotionally difficult. 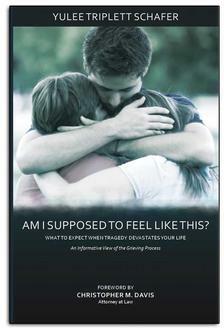 Davis Law Group provides free resources for the bereaved families of victims who have been killed in an accident. Attorney Chris Davis has spent over 20 years representing accident victims and their families, as well as coaching the surviving family members through the process of bereavement. Ultimately, families of wrongful death victims often feel like a wrongful death claim helps bring closure to the loss of their loved ones. When someone is killed in an accident, police conduct an investigation to determine whether criminal charges should be filed against the driver. In Washington State, it is illegal to operate a vehicle negligently and recklessly, so a driver may have committed homicide by crashing their car into someone while drunk, high, or distracted by a cell phone. Even if the police decide that criminal charges will not be filed after an accident, if the driver is at fault, the bereaved family of the victim may have a wrongful death case. Wrongful death cases take place in civil, not criminal, court; they are usually handled by personal injury attorneys, not prosecutors. The goal of civil injury cases is to seek restitution for victims of accidents; punishment for a violation of the law is handled separately in criminal court.